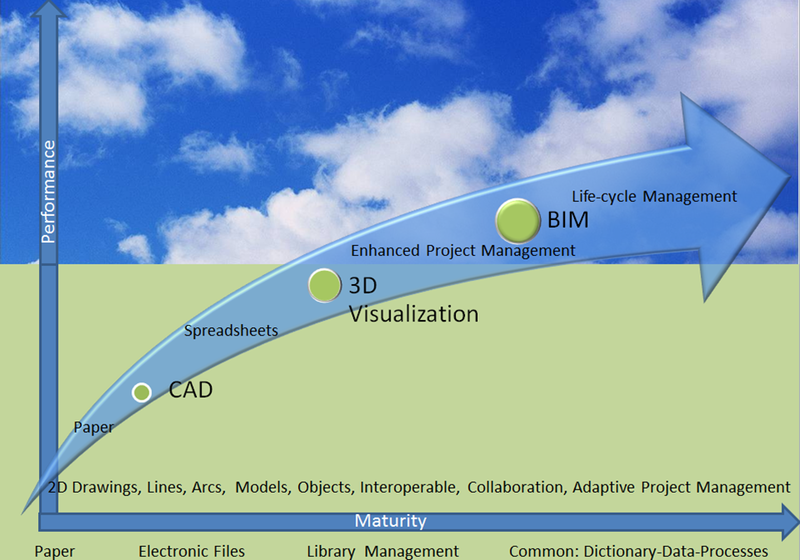 Cloud-computing will have a much more significant impact upon how the built environment is managed than 3D visualization. 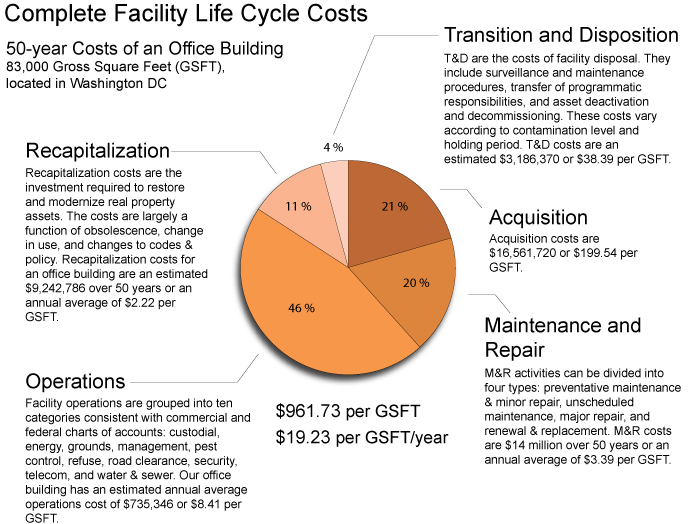 Information drives cost savings and higher efficiency. How and when we access information will forever alter day-to-day and strategic business practices for Owners, AEs, Contractors, SubContractors, Business Product Manufacturers, Building Users, Oversight Groups, and the Community. 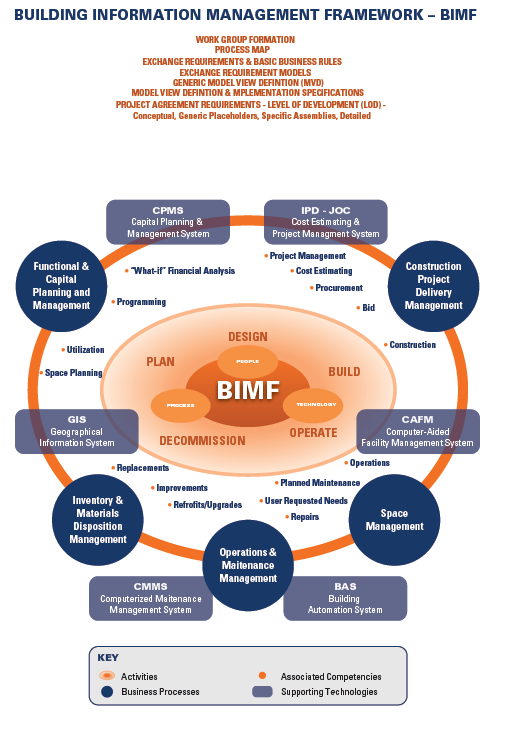 BIM is the life-cycle management of the built environment support by digital technology. Poor life-cycle management knowledge transfer. 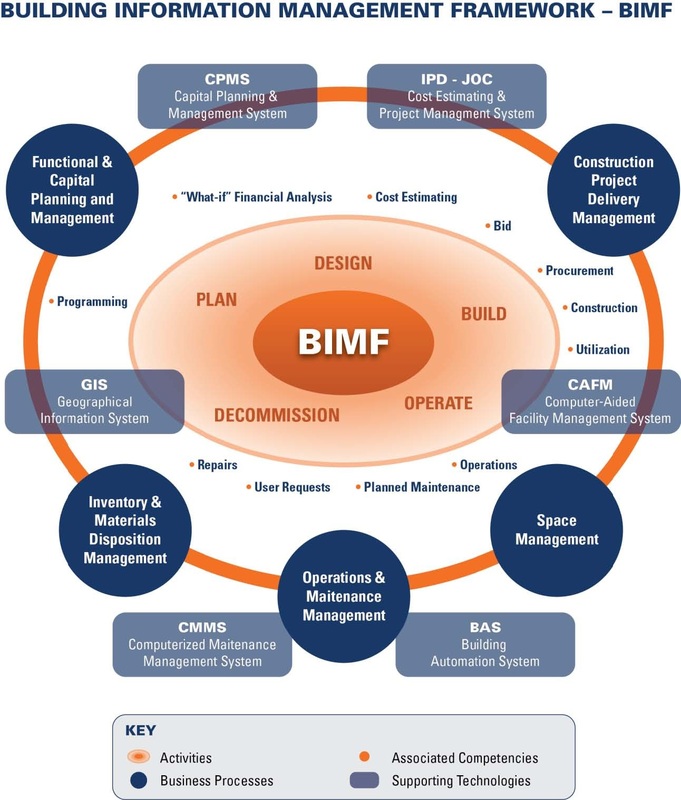 Most disconcerting is that, in most cases, methods for gathering and working on significantly enhanced tactical and strategic facility life-cycle management practices are readily available. 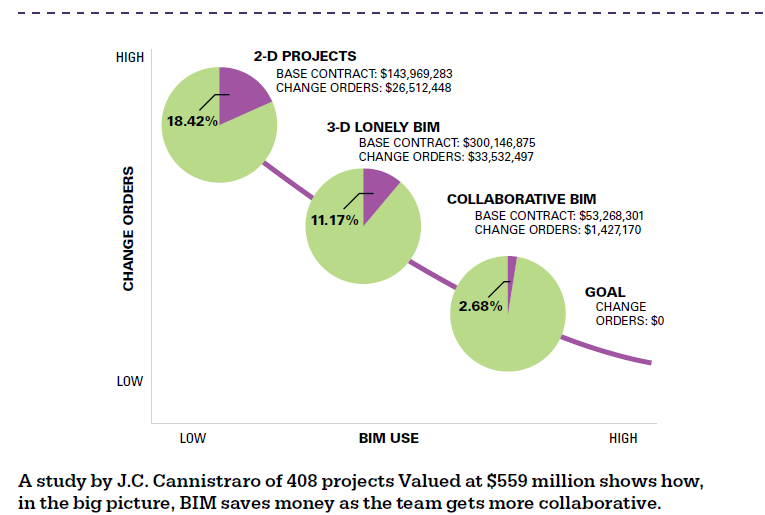 Primary failures and relative lack of progress relative to BIM occur due to lack of applying information to resolve planning, resource allocation, and execution in a timely, collaborative manner. Cloud computing uniquely addresses all of these important issues. Traditional data processing systems and application specific software solutions were confined by the high cost of memory and storage. Memory, storage, and processing power are now relatively inexpensive, to the extent that they are mathematically approaching zero. As a result Internet massive scale storage, search, and processing paradigms are rapidly becoming commonplace. That said, Excel and similar spreadsheet-centric programs, and even relational database technology are not up to the task of accessing and working upon data fast enough. Cloud computing however enables the searching and use of massive data sets in milliseconds. Additionally real-time, multi-point collaborative access is securely enabled by cloud computing. In short, cloud computing eliminates the need for data silos. 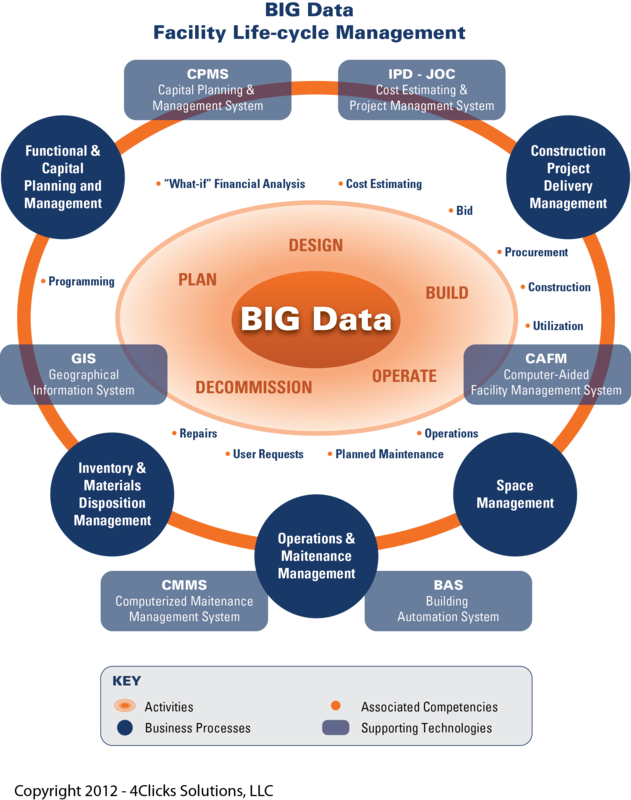 Moving the currently disparate knowledge domain AECOO (Architecture Engineering, Construction, Owner, Operations) practices into a collaborative process, and shifting information access to an earlier point within the construction project planning process are also enabled by cloud computing and associated “newer” construction delivery methods (Integrated Project Delivery – IPD, and Job Order Contracting – JOC). Former time-line and silo restricted aspects of present day-to-day AECOO business practices stand to be vaporized by the precision search and analytic capabilities of modern cloud computing. Cloud computing is a highly standardized and virtualized commodity infrastructure, when combined with with standardized terms, cost data architectures, and similar generalized information hierarchies enables real-time continuous processing of open digital document/ information flow. 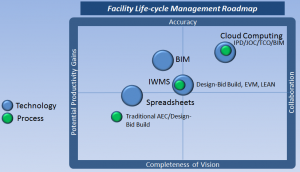 Fear that cloud computing will reduce the importance of Architects, Cost Estimators, Construction Managers, and other related profession is unfounded. Certainly inter-relationships and roles will evolve, however for those that are receptive, capabilities and potential within each profession will be expanded.